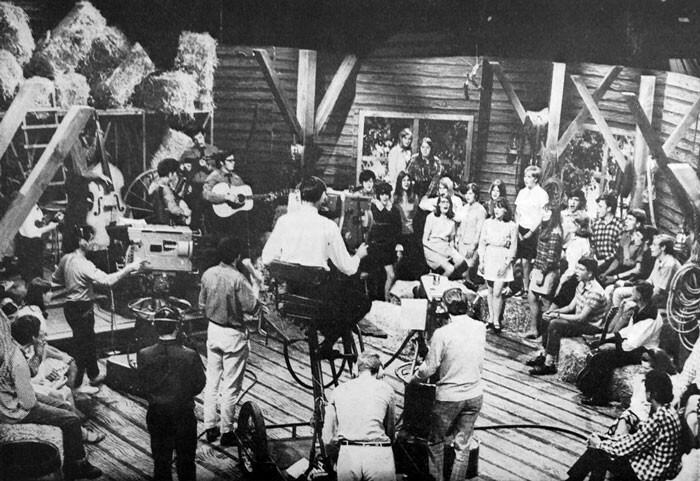 For a 20-year period from the late 1960s, country music was the soundtrack of light entertainment on New Zealand television. Shows such as The Country Touch, Touch Of Country and That’s Country made household names of their stars and established a healthy country recording industry into the late 1980s. International superstar Kenny Rogers launched his solo career on Touch Of Country just six months before his monster 1977 hit ‘Lucille’. Later, the most successful series, That’s Country, was the first locally made entertainment programme to be sold to the United States. But there was very little New Zealand in New Zealand country music during those years. Acts writing their own songs such as The Plainsmen, Garner Wayne and later Patsy Riggir and Ritchie Pickett were anomalies in the days before The Warratahs, Al Hunter, The Gypsy Pickers and The Coalrangers came to prominence with their homespun storytelling. New Zealand’s biggest country star of the 1960s, John Hore, had made a career of singing covers of Nashville fare by the likes of Harlan Howard, Marty Robbins, Buck Owens and Roger Miller. There was only the occasional local song on his Joe Brown LPs until 1968’s New Zealand Songs. It’s hard to argue with a winning formula. 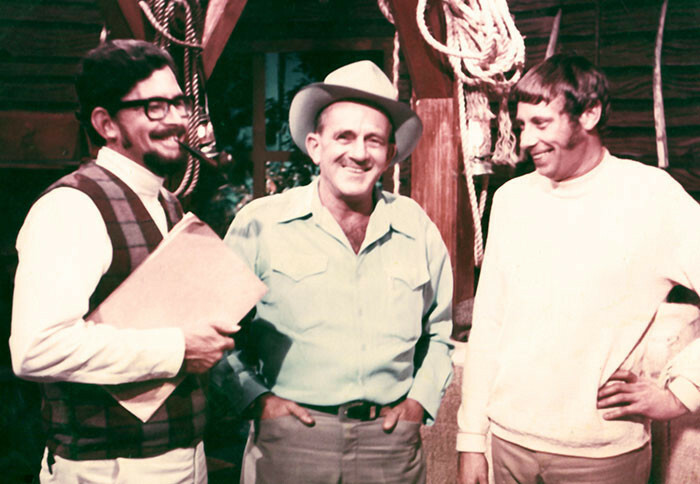 Veteran showman Tex Morton sparked country music on New Zealand television, but it was NZBC producer Bryan H. Easte who did all the hard work establishing The Country Touch and its earlier successors. By the time of That’s Country and Dixie Chicken two men with strong rock and roll pedigrees – Ray Columbus and Andy Anderson – took up the respective hosting jobs. The shows weren’t without controversy. That’s Country fired two of its most popular stars and was itself axed after an official Commission of Inquiry into favouritism. In 1987, Dixie Chicken was pulled from screens following just one episode. 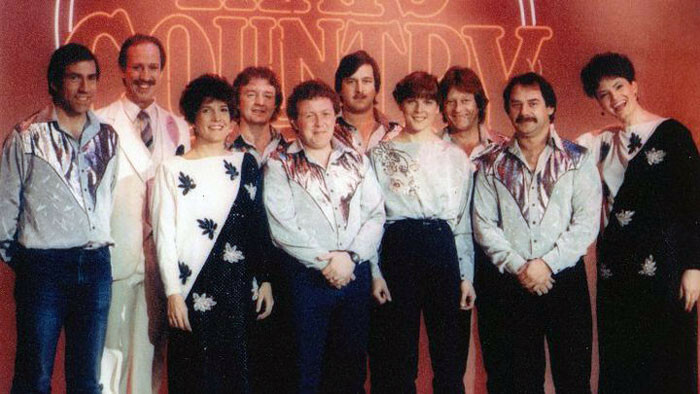 25 years after its passing, the stars of That’s Country were still drawing big crowds on the back of exposure garnered on the show, but by then the heady days of New Zealand country on prime-time were a distant memory. The man whose concept it was to bring country and western music to NZ screens was Nelson-born entertainer Tex Morton, already a 30-year recording veteran working to high acclaim and massive sales in Australia, the United States and Canada. In 1968, Morton was in Auckland and paid a visit to New Zealand Broadcasting Corporation producer Bryan Easte. The two men had known each other from when Easte worked in television in Melbourne and Adelaide. Off the cuff, Morton suggested a country and western series, an idea that immediately set Easte’s brain ticking over. Easte was now producing the high-rating Town and Around and quickly engaged Morton and an unwitting Barry Crump for a sharp-shooting item on that night’s show. Crump held out a playing card on its edge while Morton split it with a bullet fired from a .22 rifle. The piece went to air, with Crump’s shouted four-letter reaction edited out. With Morton’s idea fresh in his head, Easte paid a visit to the Poles Apart Folk Club in Khyber Pass Road where he’d heard The Hamilton County Bluegrass Band with a fiddle and acoustic instruments were packing them in most weekends. After taking in the first set he approached the band’s onstage protagonists, mandolin player Dave Calder and mouth harp player Len Cohen. 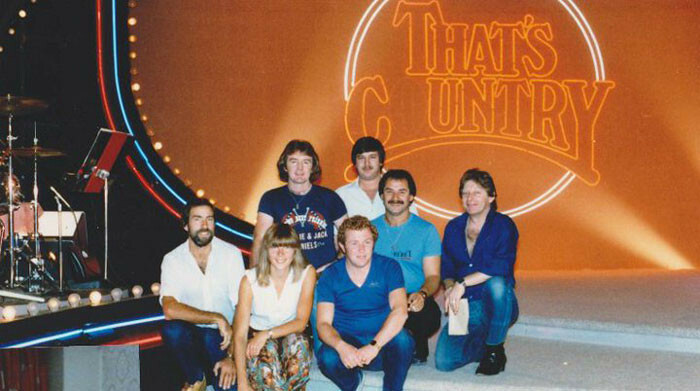 Cameras fixed on the Country Touch singers in a photo from an NZBC training manual. The Hamilton County Bluegrass Band to the left. He explained that he was producing a country music TV show and would like them to be the backing band for weekly guest artists. He continued that there would be a musical arranger in the form of pianist Garth Young, a backing choir with their own conductor, square dancers and it would be hosted by Tex Morton! Calder didn’t yet know who Tex Morton was and confided that the band wasn’t really a dance band, but they nevertheless agreed to come on board. The Hamilton County Bluegrass Band line-up was Calder (mandolin and guitar), Cohen (harmonica and guitar), Paul Trenwith (banjo), Alan Rhodes (guitar), Lyndsay Bedogni (string bass) and Colleen Bain (fiddle). All but Bain sang. Choral arranger for the backing choir was Brian Hirst and square dance caller Thelma Blyth, and Easte approached former ballroom dancing champion Hugh Lynn to put a square dance team together. Still a good decade off becoming one of the leading entrepreneurs in the local music scene, Lynn had plenty of TV experience and his mother Da Katipa ran a popular studio from where the dancers were sourced. A permanent set of hay bales and wagon wheels was built in AKTV-2’s Shortland Street studios in Auckland and the show was christened The Country Touch. It was an instant hit and made overnight stars of The Hamilton County Bluegrass Band and especially their tousled curly-haired fiddle player Colleen Bain. Tex Morton with his Country Touch posse, NZBC Shortland St studios, 1969. Choral arranger Brian Hirst is front row, extreme left. The programme ran through 1968 to 1970, with two shows filmed each weekend during its run. The band would meet at 9am Saturday and Sunday, usually after playing at the Poles Apart the night before, and Garth Young would outline the songs for the show. They’d run through with the guest artists and the Country Touch Singers who’d rehearsed elsewhere during the week under former Cambridge Four vocalist and schoolteacher Hirst. Then they’d choose a song for the square dancers that had also practised elsewhere. When Christchurch singer and accomplished square-dancer Val Elliott made her first appearance on the show she was bewildered by the dancers’ high energy and whirling gingham. She suggested to Bryan Easte that what the dancers were doing wasn’t really how square dancing was done. “Well, that’s the way we’re gonna do it on my show,” Easte retorted. After lunch, there’d be a dress rehearsal with the camera crew before filming began mid-afternoon, with the intention of having the episode squared away by 4pm or 5pm – giving enough time on Saturdays for The Hamilton County Bluegrass Band to get to the Poles Apart. Each show started with Dave Calder’s call, “Rosin the bow and here we go!” before the band and cast launched into Porter Wagoner’s ‘Howdy Neighbour Howdy’. Well, initially anyway. As time went on, the mischievous mandolin man would play it straight for rehearsals but when the tape was rolling he’d shout, “Rosin the bow and ban cricket balls,” as he grinned to reveal a blacked-out tooth, or “Rosin the bow and watch out for arrows,” as someone in the band displayed a feather in their hair. Bryan Easte loved the maverick Goon Show humour and would happily keep the adlibbed introductions, but when The Beale Street String Stretchers from Christchurch made a guest appearance to sing Red River Dave McEnery’s ‘Amelia Earhart’s Last Flight’, The Hamilton County Bluegrass Band instigated one Goon Show gag too many. After further teasing, Doak waited until the tape was rolling, stared down the barrel and sang the ‘shark-infested custard’ line. Immediately there was a crashing of the control room door above and the usually unflappable Easte descended the steel steps and blew his nut. Doak could feel the flecks of spit colliding with his face as Easte ranted about the cameramen, make-up artists and other staff being paid to produce the show. Needless to say, the next take was word perfect. 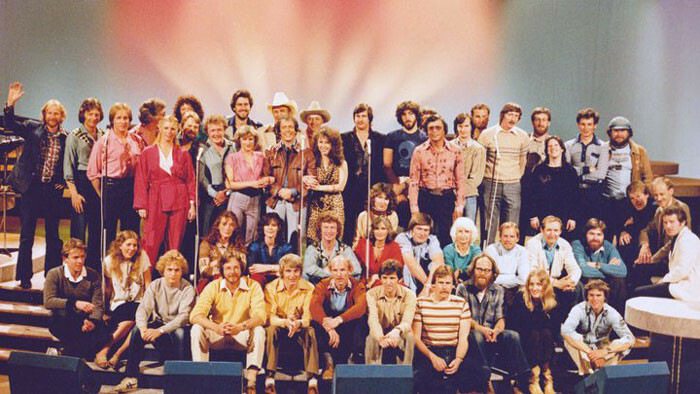 Some of the other artists to benefit from national exposure on The Country Touch before it ended in 1970 were Peter Posa (at one time the show’s co-musical director with Garth Young), Rusty Greaves, Christine Smith, Garner Wayne, The Plainsmen, Big Mike Durney, Val Proctor, Ken Lemon and Gray Bartlett. 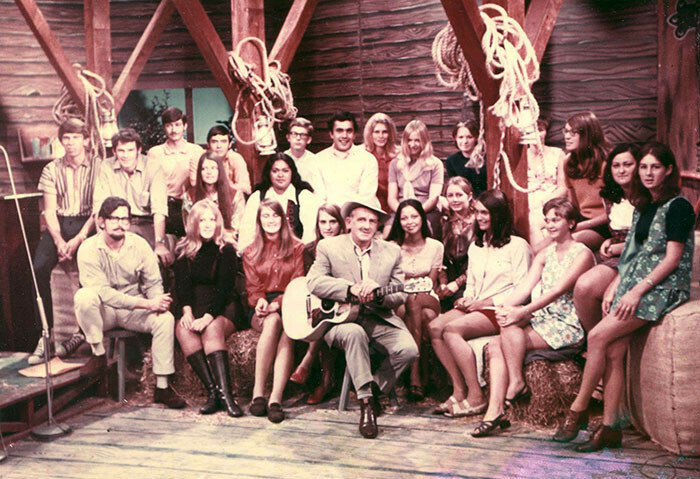 In the early 1970s, there were the short-lived series Country Folk (1972) out of DNTV-2 in Dunedin, and Country Road (1973), which was filmed at the small WNTV-1 studio in Waring Taylor Street, Wellington. There were perhaps only six episodes of each. The point of interest for Country Folk was that it mixed New Zealand content in with songs from abroad, including folk music from the Depression and the gold fields performed by resident singers John Hore, Christine Smith, Steve Allen and Dunedin trio The Avocados – Malcolm Scott (12-string guitar), Hugo Pow (guitar) and Bryce Keen (bass guitar). Master Records recording artists The Avocados, who were resident on Country Folk, 1972. Left to right: Hugo Pow, Bryce Keen, Malcolm Scott. Country Road was another Bryan Easte production sticking closely to the Country Touch formula right down to the hay bales, the Brian Hirst-led chorale singers and The Hamilton County Bluegrass Band as house band. 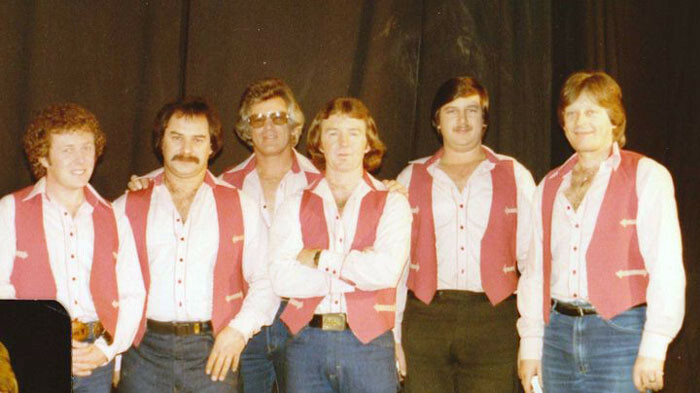 Dave Calder, Len Cohen and Lyndsay Bedogni had left to be replaced by Miles Reay (bass) and Graham Lovejoy (mandolin), and the band had spent a couple of years in Australia touring with the Slim Dusty Show before returning home. The now married Colleen and Paul Trenwith’s new son Jeremy was looked after backstage at Country Road tapings by Colleen’s mother but made an appearance in the final show for the “He’s got the little-bitty baby in his hands” line of the chorale’s ‘He’s Got The Whole World In His Hands’. It was to be the band’s final hurrah as they broke up soon after filming was completed, leaving one last album also titled Country Road. 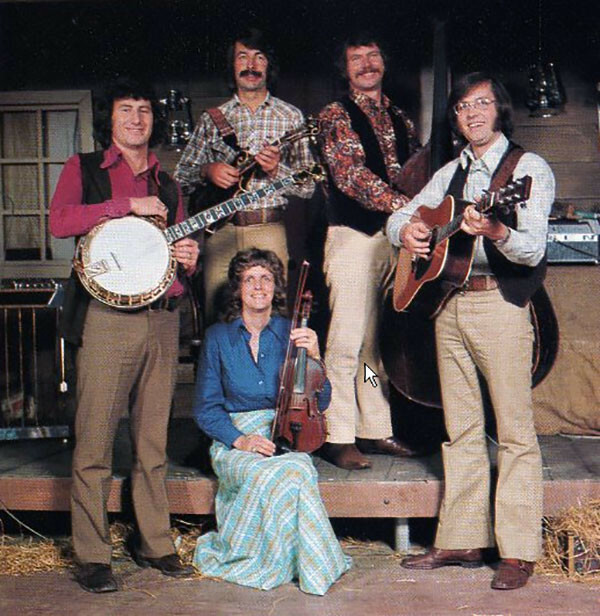 The Hamilton County Bluegrass Band on the set of Country Road, 1973. Left to right: Paul Trenwith, Graham Lovejoy, Colleen Trenwith (seated), Miles Reay, Alan Rhodes. 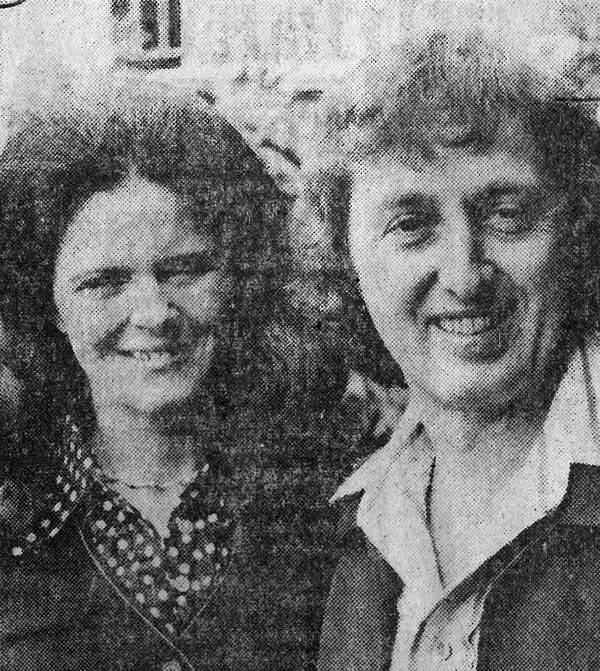 Among the artists to appear on Country Road were Maria Dallas, Christine Smith and Brendan Dugan with his little sister Annette. Easte scored a coup when he secured the services of US act Kenny Rogers & The First Edition, who were touring New Zealand for Stewart Macpherson’s Stetson company. Bass player Rogers gifted The Hamilton County Bluegrass Band’s Reay with a set of strings for his electric bass. Macpherson brought Kenny Rogers & The First Edition to New Zealand three times in 1973 and 1974 and on one of the visits they filmed the TV documentary Rollin’ Thru New Zealand With Kenny Rogers and The First Edition with director Tony Williams. By 1975, Bryan Easte was executive producer of light entertainment with South Pacific Television and former C’mon and Happen Inn producer Kevan Moore was the station’s controller of programmes. They put their heads together to come up with a new country show that left the hay bales and chorale singers behind for electric guitars and a modern set. They decided the new show, Touch Of Country, would also feature North American guest artists. Easte travelled to Nashville in October for the 50th jubilee celebrations of the Country Music Association to speak with booking agent Jack McFadden. Promoter Dennis Brown tagged along to secure the services of the show’s acts for stage appearances. Easte then made his way north to Canada to meet agent and singer Gary Buck and signed Canadian pedal steel guitarist Ollie Strong to act as co-ordinator with the New Zealand band “to produce the true blue Nashville sound” as the NZ Herald reported in April 1976. Canadian pedal steel guitarist Ollie Strong and singing wife Rae. Strong was signed up to the Touch Of Country band in 1976 “to produce the true blue Nashville sound”. Auckland guitarist Gray Bartlett, who had struck up a successful duo with Brendan Dugan since returning to the country in 1973, assembled the Touch Of Country band. As the show was to be filmed in the Civic Theatre in Christchurch, he employed Peter Gillette (keyboards) and John Clarke (drums), both from local band Footsteps, who brought in bass guitarist Gary Sammons, nephew of The Plainsmen’s Stringer brothers. Bartlett had used Footsteps on previous tours with Dugan. There was a snag early on when the NZ Musicians’ Union was unimpressed with the production bringing in session man Ollie Strong, but it was alleviated when Strong agreed to run pedal steel lessons while he was here. Auckland pedal steel player Red McKelvie, who had returned home after several successful years in Australia, replaced Strong for later series. The show would rehearse Thursday and Friday and film the half-hour episode live from the Civic Theatre on Friday night. On off days the entourage travelled to perform concerts in the likes of Ashburton, Timaru, Oamaru, Dunedin, Invercargill and the West Coast. New Zealand talent to appear during its three-year run included Dugan, Jodi Vaughan, Suzanne Prentice, John Hore, Eddie Low, Howard Morrison and even jazz singer Malcolm McNeill. North American guests included Gary Buck, Susan Raye, LeRoy Anderson, Donna Ramsay, ‘The Purple People Eater’ singer and writer Sheb Wooley and Kenny Rogers. 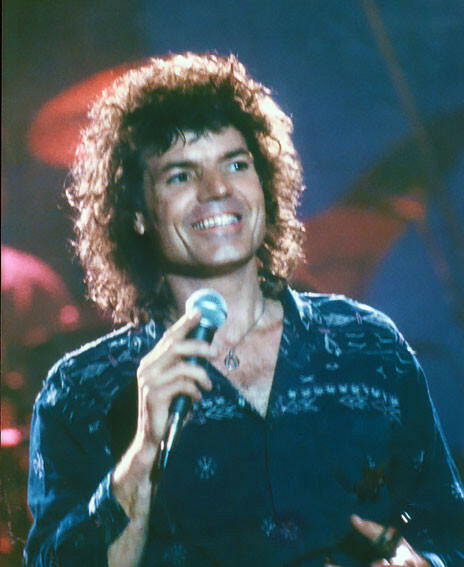 Rogers arrived in New Zealand in May 1976 for his fourth visit in five years but his first since the break-up of his long-time band The First Edition. Besides his appearance on Touch Of Country, he did a live radio show with the show’s band, grabbing the bass guitar from Gary Sammons to badly play the chaser ‘Wildwood Weed’. “Now you know why I don’t play bass now,” he grinned as he handed it back. Six months later, Rogers’ single ‘Lucille’ hit No.1 on the Billboard Country Singles chart and was a No.1 pop hit in a dozen countries. By the time of ‘The Gambler’ 18 months after that he was an international superstar. As a judge on Studio One Ray Columbus once admitted to hating country and western music. By 1979 he was presenting a South Pacific Television series called Columbus Discovers … When Columbus Discovers Country rated highly, Columbus was summoned to a meeting with TVNZ’s head of entertainment Tom Parkinson. Parkinson, who had previously worked for BBC2 and ITN in the UK, had been mulling over a fast-moving variety show; a kind of a pop show with a country flavour, and he believed Columbus had all the required attributes to compere the show, to be called That’s Country. Following on from the behind-the-scenes expertise acquired on Touch Of Country it was decided the new show would be based in Christchurch and Gray Bartlett would again be musical director and assemble the backing band. 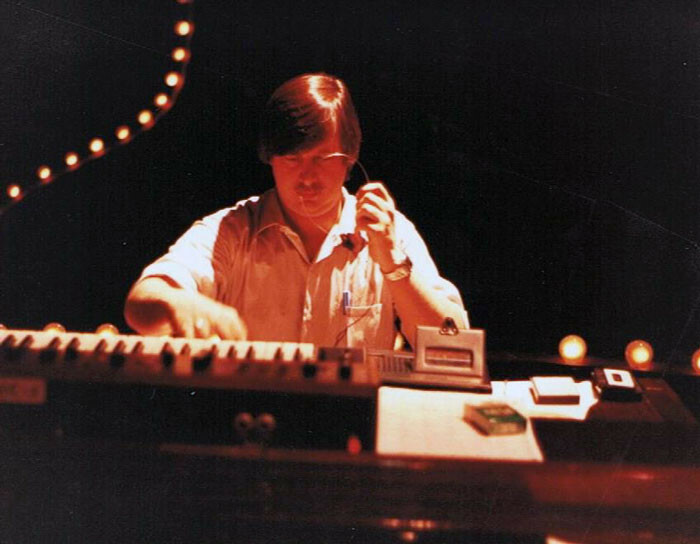 He enlisted the previous series band, with Doug Petrie replacing drummer John Clarke, and with the addition of pianist Murray Wood and fiddler Cath Newhook. Sydney pedal steel guitarist Kenny Kitching occasionally subbed for Red McKelvie during the first series before the weekly travel from Auckland to Christchurch took its toll on McKelvie and he bowed out to be replaced by Paddy Long. Wayne Allen replaced Petrie on drums during the early series. There would be a full ensemble opening – Bartlett bringing in the Ronnie Milsap song ‘Country Cookin’ – as well as all closing with the country standard ‘Y’all Come’, and it would be filmed in front of a live audience at the state-of-the-art James Hay Theatre. It was also agreed that each show would feature an overseas guest. 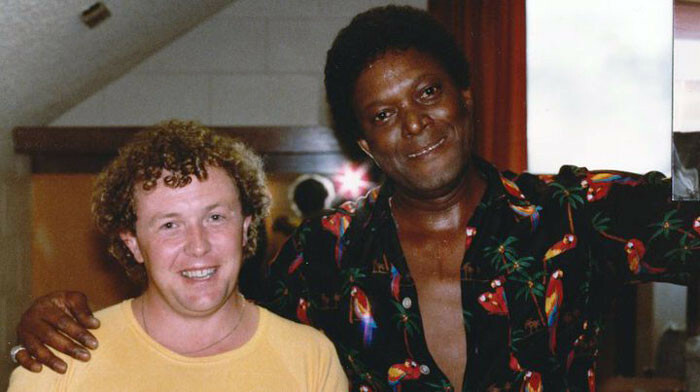 To that end there was a stroke of good fortune when Country Music Association executive director Jo Walker-Meador visited New Zealand early in 1980 with American star Charley Pride. That’s Country staff took the pair on a tour of the James Hay Theatre and outlined the aims of the new show. When Ray Columbus flew to Los Angeles to attend the 1980 Grammy Awards, Walker-Meador invited him to join her party. Seated with Glen Campbell, Olivia Newton-John and Roy and Dale Rogers, Columbus spread the word about That’s Country. 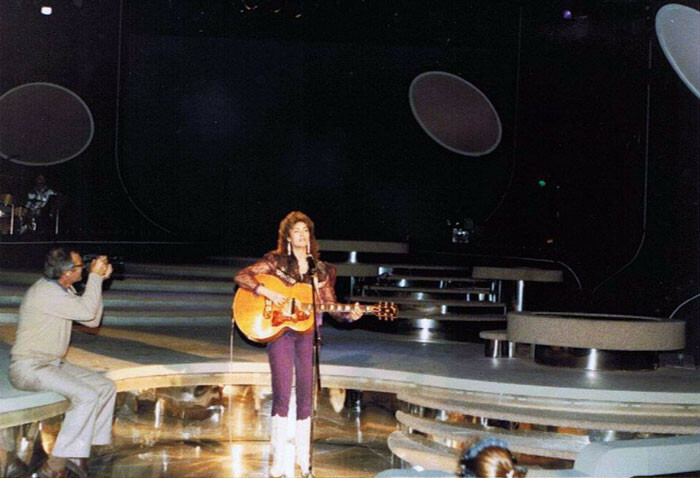 The first show was filmed on 30 April 1980. There had been a glitch a week earlier when the first American guest star Tanya Tucker pulled out. After some frantic phone calls to US agents and the CMA, George Hamilton IV was on a plane and graced the inaugural episode of That’s Country. He was followed by an impressive array of US country music stars over the next four years that included Emmylou Harris, Gary Morris, Boxcar Willie, Dobie Gray, The Burrito Brothers and Tompall Glaser & The Glaser Brothers, as well as Australian stars such as Slim Dusty, Frank Ifield, Laurel Lea, Jade Hurley and Jewel and Arthur Blanch. Familiar faces Brendan Dugan, Jodi Vaughan, Suzanne Prentice, John Hore Grenell, Eddie Low and Toni Williams – many of whom were enjoying heavy record sales on major labels thanks to regular prime-time TV exposure – were joined by an ever-increasing pool of New Zealand talent such as Patsy Riggir, Noel Parlane, Ritchie Pickett, Jeff Rea, Maree Humphries, Phil Darkins and Lynne & Celine Toner. Throughout its intensive production schedule, That’s Country band members such as Peter Gillette and later backing vocalist turned guest artist Pat Kearns remained jobbing musicians. It wasn’t uncommon to finish taping late in the evening then head to a nightclub gig till 3am only to arrive back at the theatre for the following episode’s rehearsal the next morning. 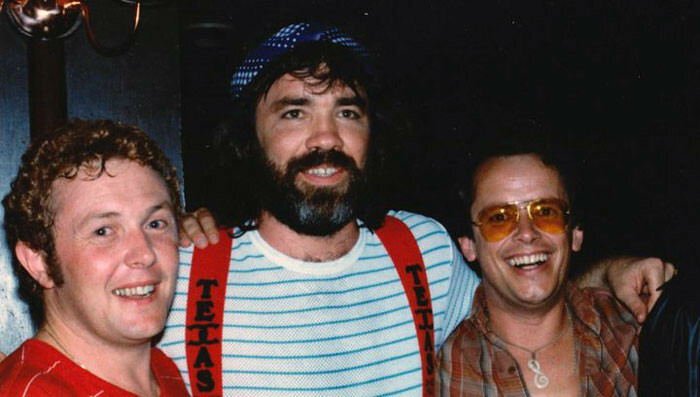 In mid-1982, Tom Parkinson had begun making contact with cable TV networks with the idea of selling That’s Country to the US and, in August, he and associate producer Trevor Spitz flew to Nashville and brokered a deal with the Grand Ole Opry-backed Nashville Network. The contract was signed in December. The sale motivated Parkinson and the producers to polish up what was already viewed as a slick affair. The Nashville Network was keen to retain That’s Country’s identity, but producers decided to replace Bartlett as musical director with his deputy, pianist Murray Wood. Bartlett would remain as lead guitarist. The first US broadcast was in the following March and the show was placed in three programme slots including the prime Sunday 7pm time. During 1983 the Nashville Network expanded to 12 million subscribers and a potential viewing audience of 30 million. At the end of the year the network confirmed they wanted to purchase a second series. But at the beginning of that year, back in New Zealand there was a very public stoush between some of That’s Country’s best-loved performers and its producers that ultimately led to their dismissal and a Commission of Inquiry. It started as tension between Trevor Spitz and seasoned performers Brendan Dugan and Gray Bartlett. As well as his involvement with the show and booking venues and tours in the South Island for Phil Warren, Spitz was cast member Suzanne Prentice’s manager. Dugan and Bartlett perceived Prentice was getting the best opportunities on the show and started a petition calling for Spitz’s removal as producer and threatening their withdrawal from future series if he wasn’t. 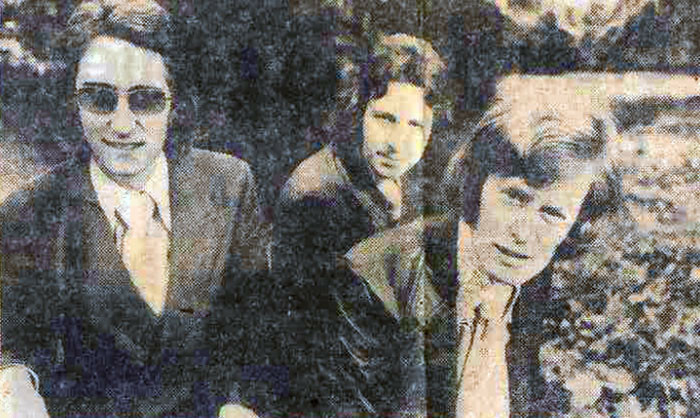 Bartlett took the issue to the band and they were called to a meeting in a motel room by the local rep of the NZ Musicians’ Union where bass guitarist Gary Sammons was chosen to speak on the band’s behalf. Their opinion was it was not their business and they did not want to be involved. The petition included just the signatures of Dugan, Bartlett and Jodi Vaughan when it was shown to senior entertainment producer in Christchurch David McPhail – of McPhail and Gadsby fame and also managed by Spitz – and he called Dugan to a meeting. When the petition was not withdrawn, McPhail wrote to Dugan informing him his contract was terminated and he would be paid out in full. By this time Dugan’s dismissal was in the news and Bartlett had taken his concerns to The Christchurch Star. McPhail phoned the guitarist and then wrote to him terminating his contract. Jodi Vaughan quit in support and Bartlett phoned That’s Country’s Nashville agent to relay the goings-on. Early Ray Columbus and The Invaders and Dave Miller and The Byrds guitarist Brian Ringrose took his place in the band, and That’s Country cracked on. But TVNZ launched an internal investigation into its entertainment department and Prime Minister Robert Muldoon ordered a Commission of Inquiry. When it was published in April 1984, it stated that it would have been correct in the circumstances for Spitz either to have not managed Prentice or to have stopped producing That’s Country. The controversy made its effects felt. 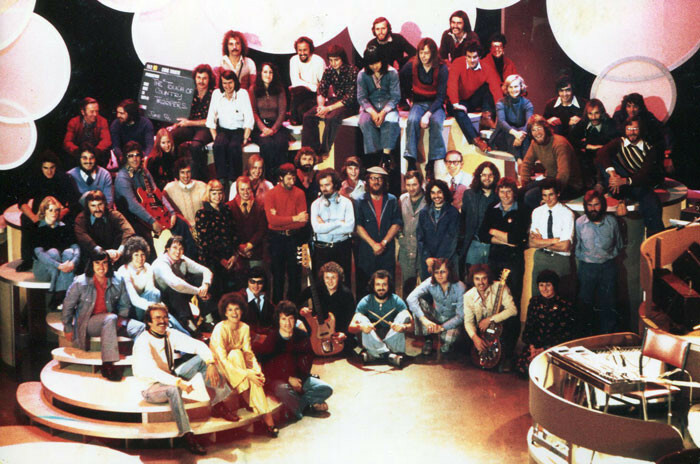 The Nashville Network opted not to extend its contract and it was announced in August 1984 – not long after Tom Parkinson had moved on and was replaced by That’s Country producer and director Malcolm Kemp as TVNZ head of entertainment – that That’s Country would cease production in November. Kemp went on record that there would continue to be a place for country music on New Zealand screens and that there would be a shift from long-running series to specials presenting all manner of musical styles, including country. TVNZ were true to their word. In 1984, there was Emmylou Harris and The Hot Band, for which Ray Columbus was credited for “sound mix”. The following year there was a show featuring Dugan, Bartlett and Vaughan as well as Patsy Riggir – Beautiful Lady. Suzanne Prentice In Concert screened in 1986. Beautiful Lady came about after former The Country Touch floor manager and early That’s Country producer John Wansborough had been in the audience when Riggir hosted the South Island Country Music Awards in Christchurch in 1984. He was impressed by her natural ability to connect with the audience and approached her with the idea of a special. Taped in front of a capacity crowd at the Christchurch Town Hall, Patsy Riggir – Beautiful Lady was a ratings success and Wansborough immediately began planning a six-part Patsy Riggir Country series that went into production in late 1985 to air midway through 1986. Based at the home of That’s Country, the James Hay Theatre, musical director Bernie Allen fronted a band that featured former Lutha guitarist Graham Wardrop and pedal steel guitarist Jim Lange, ex-Val Elliott & The Rhythm Ramblers, as well as That’s Country band members Murray Wood, Wayne Allen and Brian Ringrose. The Christchurch Symphony Orchestra was also on hand. Guests included Laurie Dee, Bunny Walters, Noel Parlane and Brendan Dugan as well as young up-and-comers such as Sharon Cunningham, Jan Cooper and Sharon De Bont. A live album, Patsy Riggir Country, featuring selections from the show was released to coincide with its screening and peaked at No.3 on the NZ album chart in June 1986. It went on to reach platinum status at home as well as being awarded the Top Selling LP Golden Guitar at the Australasian Country Music Awards in Tamworth. Plans for a second series never came to fruition but there was the Patsy Riggir Christmas Special on screens that year. In 1987 new TV2 controller of programmes John McRae asked producer Peter Muxlow to come up with a format for a light entertainment show. During his time as TVNZ head of drama, McRae had been encouraging of Muxlow productions Inside Straight and the trucking drama Roche, which starred Andy Anderson. A former Pop Co producer, Muxlow put forward a country music show with a difference to be filmed at Avalon in Wellington. Not only would it feature country artists but singers not usually associated with the genre. He christened the series Dixie Chicken after the Little Feat song and installed the affable frontman, singer, drummer, actor and ex-Grunt Machine presenter Andy Anderson as host. Muxlow thought it important to have the energy level and feel of a live concert so insisted on a “one take” philosophy with a live band. He appointed long-time Roger Whittaker musical director Dave Fraser – who had played on sessions for everyone from Shona Laing to Malcolm McCallum – as MD and Fraser assembled the musicians. With Fraser on piano, they were ex-Rockinghorse and Sharon O’Neill bass guitarist Clinton Brown, ex-Karma and Shotgun member Bob Smith on organ and acoustic guitar, former Sharon O’Neill drummer Steve Garden and brothers Rob (formerly of Tamburlaine and The Country Flyers) and Martin Winch (Salty Dogg, Dr Tree and numerous sessions) on guitars. Martin Winch flew from his Auckland home weekly for filming. The band would appear on set prior to taping for a 15-minute warm-up and to connect with an audience culled from Wellington’s many country music clubs. The “one take” approach meant it was crucial for the musicians to play themselves in. Each show began with an ensemble performance of the opening verse and chorus of ‘Dixie Chicken’, and rockers, blues singers and pop stars such as Hammond Gamble, Midge Marsden, Sonny Day, Dalvanius and Beaver would appear alongside country artists of the likes of John Hore Grenell, Al Hunter, the Toner Sisters, Gray Bartlett, Brendan Beleski and The Ranchsliders, who were on the cusp of renaming themselves The Coalrangers. The proceedings were held together by between-song banter from Andy Anderson, who later admitted to being torn between the urge to talk to the studio audience and looking down the barrel of the camera. Anderson even got to sing the odd number as a solo or in duet with a guest. However, in the months leading up to the establishment of TVNZ as an SOE and with the recent announcement that TV3 had won the warrant to be the nation’s third channel, programming was ruthless. When TVNZ director-general Julian Mounter saw the first episode of Dixie Chicken on air he decided it didn’t fit in with his philosophy of programming and pulled the series. 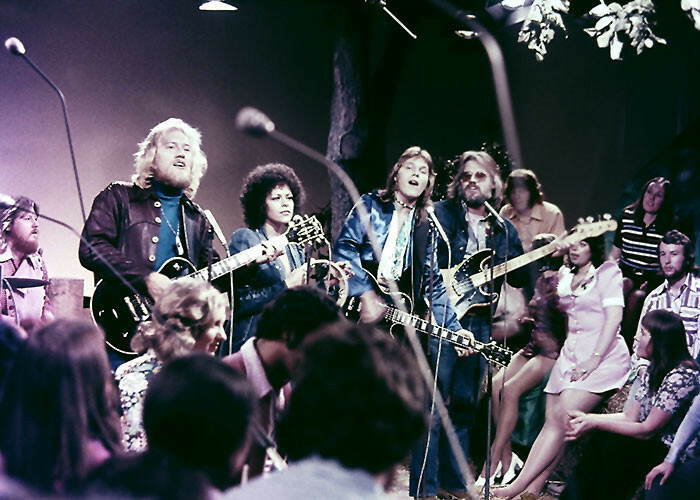 The remaining shows that were already in the can would eventually find their way to the screen as late-night filler or as part of TV2 24-hour music marathons, but Dixie Chicken would be the last time network television took a serious punt on New Zealand country music. Just as it was finding its own sense of place with Al Hunter, The Coalrangers and The Warratahs – who Dixie Chicken bassist Clinton Brown would join months after the axing – the doors were slammed shut. From then on New Zealand country music would be relegated to sporadic appearances on the likes of Good Morning, and then almost always amid a stack of hay bales, just in case viewers were confused as to what they were listening to.